Please see Judging Criteria for more information regarding live presentations. We recommend that you utilize the business model canvas, developed by Alexander Osterwalder and Yves Pigneur, as a tool to track and visualize your business model as it changes throughout the validation process. How do I Validate a Business Model? If you think of a business model as a hypothesis, or a good guess, then the validation of a business model is the method through which you determine whether your hypothesis, or guess, is correct. It is not often that an entrepreneur’s first business model will successfully identify and address a customer problem. The business model validation process allows an entrepreneur to change or ‘pivot’ their business model early on, before large investments of time and money have been made. There are a number of sequential stages throughout the business model validation process that need to be addressed. Pivoting should occur at each stage until the criteria of that stage has been met. The following is an example outlining the business model validation process, summarized and adapted from Steve Blank’s “Lean Launchpad course” and Nathan Furr’s “Nail It then Scale It”. These exact stages do not need to be followed for your BMCC submission, however, they do provide structure for you to organize the validation of your model. Find a problem – Identify a big customer problem and develop key hypotheses to address this problem (using your business model canvas). This step is most crucial to self-validate as it is the first step. Remember, it is more efficient to fail many times at this step until you succeed than at any future step. Stay at this stage until you are satisfied you have “Nailed It”. Nail the Solution – Develop a minimum viable product protoype. Interview customers, partners, etc. and pivot your prototype until you have “Nailed It”. Nail the Go-to-Market Strategy – Investigate, in-person, the customer buying process and current infrastructure for market communications and distribution. Identify leverage-points you can use to successfully enter the market and pivot your strategy until you have “Nailed It”. Nail the Business Model – Use all of your face-to-face research to validate a revenue model for your business. However you decide to organize your submission, ensure that you: identify and track your changing hypotheses, validate your hypotheses face-to-face with customers and potential partners, pivot your business model based on your face-to-face interactions. The BMCC is more about describing your validation process, including a deep understanding of your customers and pivots, rather than end results and flashy sales pitches. Hypothesis testing – How specifically did you test your initial and pivoted hypotheses? What were your results? What new or unexpected information did you uncover? Data compiled here will support or disprove your hypotheses. Pivoting – What changes did you make to your business model based on your collected data? How did you make these changes? Market information – Demonstrate that you know how to use the data you collected from consumers to create a convincing go-to-market strategy, identifying your target markets (total and serviceable). Final Message – a concluding message from the development of your business model, including any lessons learned from your pivoting. Any additional information provided as an appendix will not be read by the judges. Please use this checklist to ensure you have created your best submission. Find a mentor(s) to help you through the lean start-up process and your EPIC BMCC submission preparation. Carefully read the eligibility criteria, rules, and regulations of the EPIC BMCC competition and ensure that you are able to comply with them. Familiarize yourself with all of the resources provided at epicbmc.ca, including judging criteria, how to validate a business model, how to prepare your submission, and previous IBMC winners. 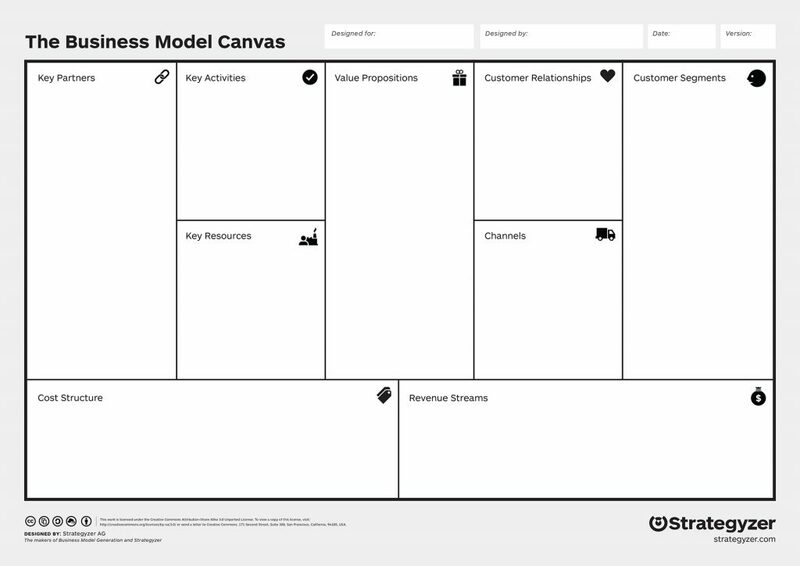 Use the business model canvas to track your business model development. Create your slide/voice video submission following the guidelines provided to you throughout epicbmc.ca and upload it to YouTube or Vimeo. Your submission may be marked as ‘unlisted’ but not ‘private’ so that judges will be able to view it. Apply to the EPIC BMCC via the online submission form provided.